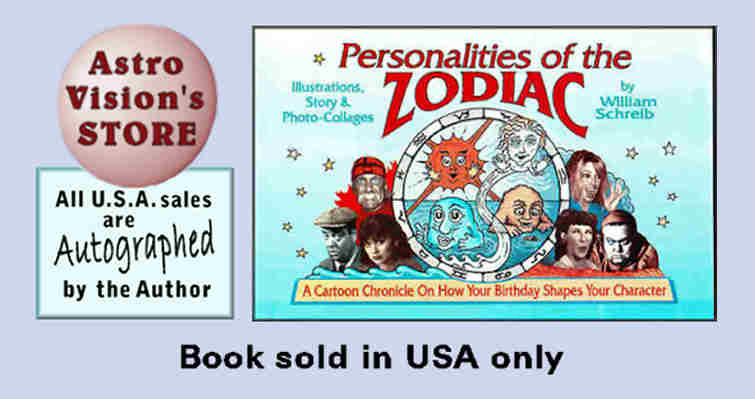 “Both beginners and professionals are sure to enjoy this fresh, entertaining, playfully yet informative look at personalities around the zodiac wheel”. “This one would make a cute birthday gift and is especially suitable for youngsters”. This 60 page (5.5 inch X 8.5 inch) book begins with a simple interpretation of the operating forces of Nature, as it introduces all to the language of astrology– be they youngsters or those who know little about this ancient science. You’ll see the cycling of the three modes (cardinal, fixed and mutable) and how they interact with the four elements to create the 12 step process in a year. Each month (i.e., each zodiac sign) brings its own circumstances and creative urges– and this mix of seasonal forces results in the mannerisms, quirks and physical traits that shape an individual’s character and personality.